Keep feet and toes extra cozy this holiday with these fuzzy slipper socks! Fuzzy yarn is super soft and warm. Non-skid bottom prevents slipping. 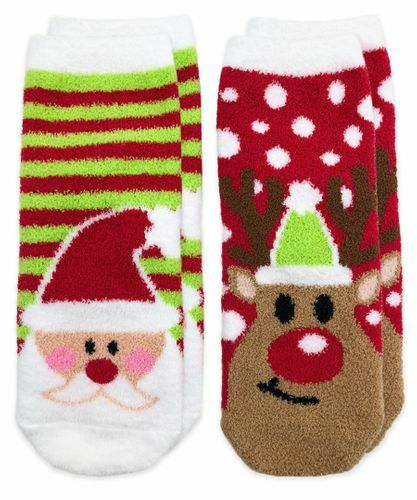 Festive santa, reindeer, polka dot, and stripe designs!